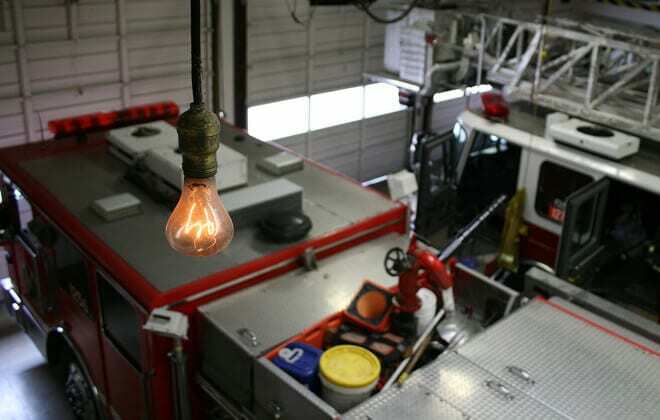 Talk about a slow burn: The 60-watt bulb hanging inside Livermore Fire Station No. 6 on East Avenue, known locally as the Centennial Light, has been running since 1901. Manufactured by the Shelby Electric Company, the bulb’s low wattage, vacuum-tight seal and constant power likely contribute to its life span. They don’t make ’em like they used to! During the past 113 years, the bulb has been turned off only four times by necessity. The Guinness Book of World Records and Ripley’s Believe It or Not! recognize it as the planet’s longest-burning light bulb. Read what Priceonomics has to say about the granddaddy of old-school bulbs.